Since its inception in 1997, the Real IRA has earned an unrivalled reputation for extreme violence and murder. 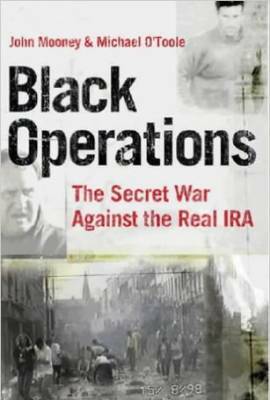 Black Operations: The Secret War Against the Real IRA, is the acclaimed book on the Real IRA and its terrorist campaign. It has murdered innocent civilians, injured hundreds, and bombed towns and cities across Northern Ireland and Britain in the name of Irish unity. It was responsible for the 1998 Omagh bombing which killed 29 people and unborn twin girls. Journalists John Mooney and Michael O’Toole have written the definitive account of the secret war against the Real IRA mounted by the Irish and British governments to thwart its campaign of violence and terror.